Reusable folding tote bags can be built by using a variety of fabrics, materials, and colors. They are the perfect combination of fashion, versatility, and eco friendliness. 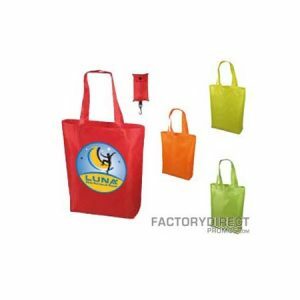 Our reusable folding totes become a walking billboard that can be customized to fit the needs for any business. They are the ideal way to guarantee that your customer won’t soon forget your brand after the initial interaction. A durable product gives you the opportunity to spread your messaging. 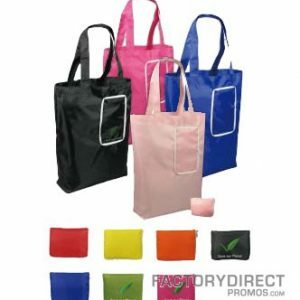 Reusable folding tote bags will provide your brand with offline impressions that can’t be quantified. Explore our collection of promotional products below; all sold at a wholesale price and customizable to your need.